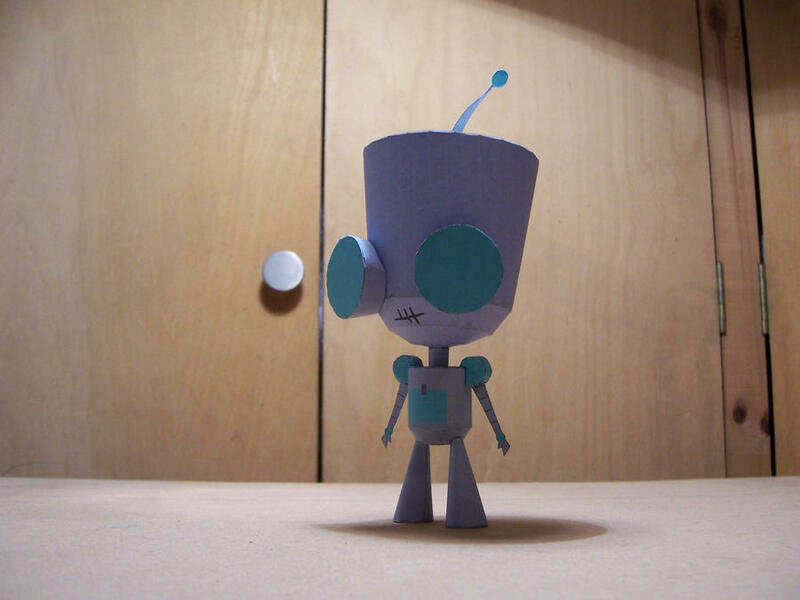 This papercraft is the GIR, based on the anime “Invader Zim”, and designed by StromL. GIR is a main character from the animated television series Invader Zim. He is the main robotic assistant of the show’s main character Zim and the closest thing he has to a friend, constructed from scrap parts and given to Zim by the Almighty Tallest instead of a regular SIR (Standard-issue Information Retrieval) unit. GIR is voiced by Rosearik Rikki Simons. He plays a main role in three episodes, Invasion of the Idiot Dog Brain, Walk of Doom, and GIR Goes Crazy and Stuff, and plays minor or secondary roles in almost all other episodes.